An Islamic militant group plaguing Nigeria reportedly dispatched young girls as suicide bombers two days in a row, leaving more than 20 people dead in weekend attacks on markets in the country's lawless northeast. The Reuters news agency quoted witnesses in the town of Potiskum, in Yobe state, as saying two girls walked into a market selling cell phones on Sunday and blew themselves up. "I saw their dead bodies. They are two young girls of about 10 years of age ... you only see the plaited hair and part of the upper torso," a trader from the market told Reuters. A hospital worker told the news agency that at least three people died and dozens more were injured in the attack, which came just a day after reports that the extremists had used a 10-year-old girl as a suicide bomber in an attack on another market, in Maiduguri, Borno state, which left 19 people dead. The apparent attacks by children appear to highlight an already-documented trend by Islamic extremist group Boko Haram to use children -- many of them likely kidnapped -- as soldiers and bombers. 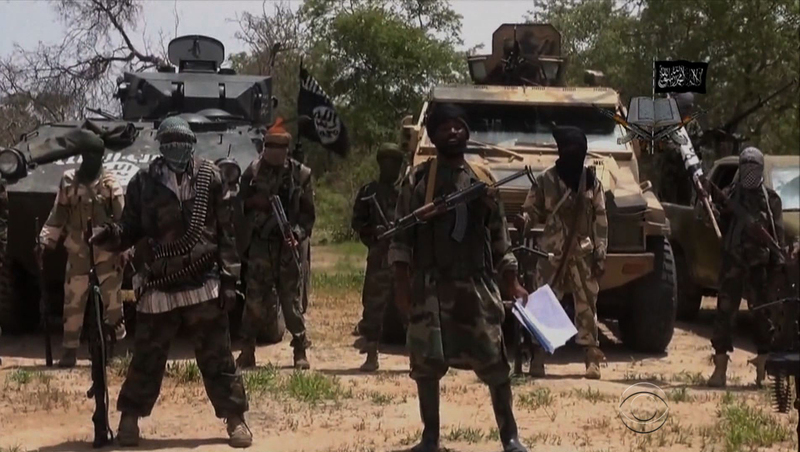 Flash Points: Can Boko Haram be stopped? U.N. chief Ban Ki-moon has condemned the recent attacks by Boko Haram militants, which have killed hundreds of people in total. Ban's office said in a statement Sunday that the secretary-general was appalled by reports that hundreds of civilians were slaughtered in an assault around Baga town, also in Borno state, near Nigeria's border with Chad. Some reports have put the death toll as high as 2,000 people in Baga. More than 100 schoolgirls kidnapped by Boko Haram last year remain missing, and there are fears that most of them have been taken by the militants as forced wives or sold or traded across Nigeria's borders. In spite of Boko Haram's grip on significant portions of northeast Nigeria, the central government of President Goodluck Jonathan intends to go ahead with national elections in February. Last month, Boko Haram released a video showing a massacre of civilians in Gwoza, in northeast Nigeria. The militants said they targeted the victims, mostly men, because they were "infidels." The week before, extremists killed 35 people and kidnapped at least 185 near the town where nearly 300 schoolgirls were taken hostage in April. A series of bombings at public markets and a mosque have killed hundreds of people over the last few months. The five-year insurgency killed more than 10,000 people last year alone, according to the Washington-based Council on Foreign Relations. More than a million people are displaced inside Nigeria and hundreds of thousands have fled across its borders into Chad, Cameroon and Nigeria.